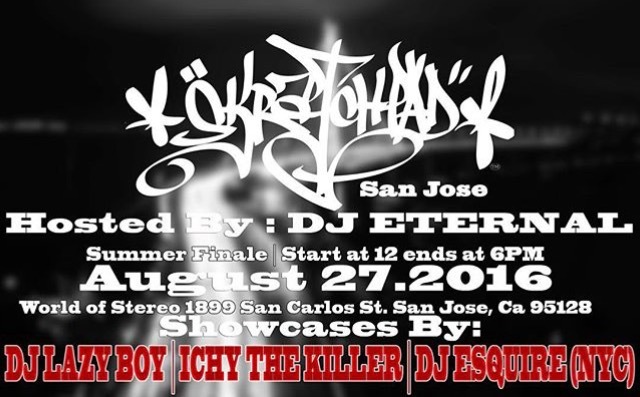 Big ups to World of Stereo, BPM Supreme, and our Skratchpad San Jose crew (Kurteek, Vex One, Six Kutter, Lowkey Louie, & Traps) for hosting the Summer Skratchpad get downs this summer. Peep this Saturday’s installment as we get ready for DMC the next day. 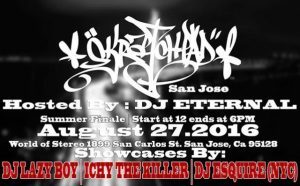 So many DJs will be in town from all over the country and SPSJ has a special show lined up to set it off. As always, no cover, just culture! Bring the kids in your life and plant seeds.